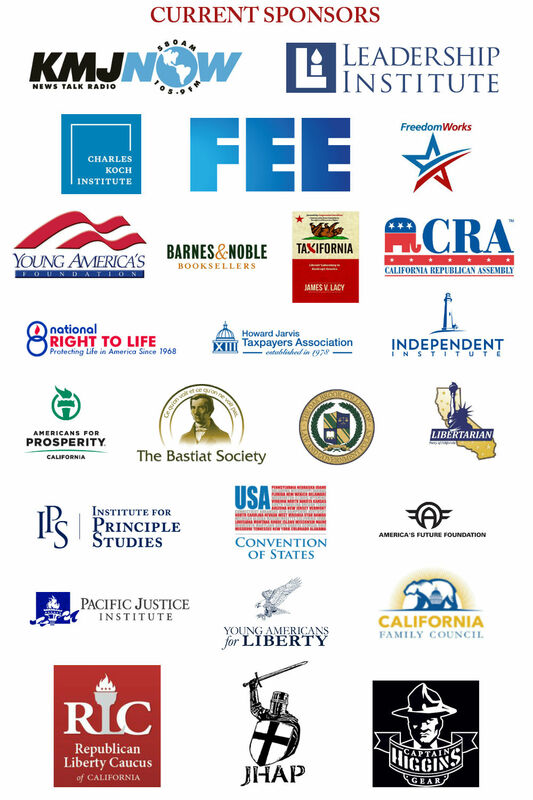 Become a part of our successful conference and connect yourself with national leaders in conservative thought and the thousands who show up to hear them. 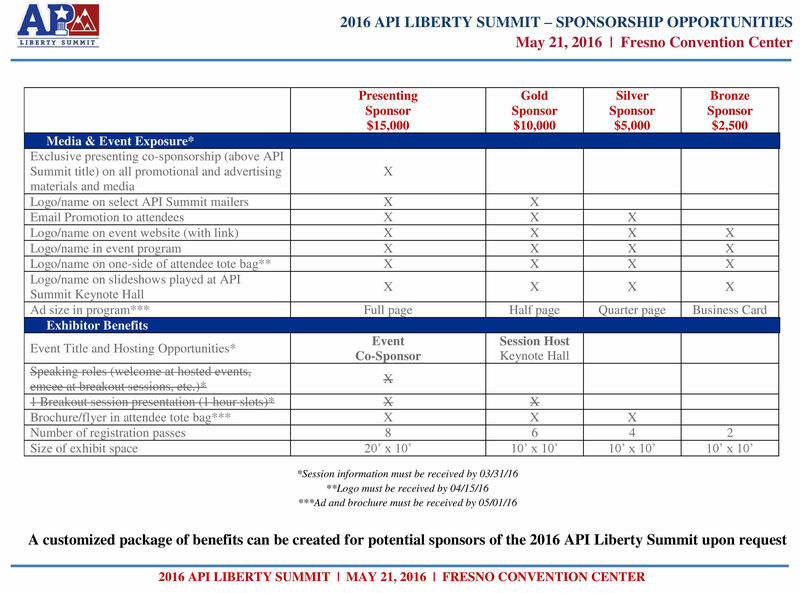 Below you will find the information necessary to become a sponsor of the 2016 API Liberty Summit. To become a sponsor, please fill out the attached sponsorship request form or contact Kurtis at (559) 436-5270 for more information. Registration fee due when application is submitted. All exhibit booths subject to availability.